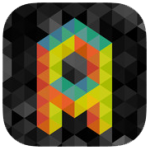 Audioprom is an audio sequencer and live performance application for the iPad. Audioprom was originally called Sausage Sequencer. The idea was to build a sound sequencer that uses slices of sausages placed on the iPad as physical markers to make sounds. After our first prototype we realized that sausages, or any other food item, is sensed reliably only when touching your hand. As soon as you let go of the sausage, the iPad thinks it’s gone too. Our dream of chopping and placing food on the screen to make sounds ended there, but we were left with a decent audio sequencer. So we kept at it, trying to make an intuitive and simple interface that takes advantage of the multitouch screen. Sausage Sequencer turned into Audioprom, a sequencer for fingers on the iPad. Audioprom V1.0 Demo 01 from cw&t on Vimeo.